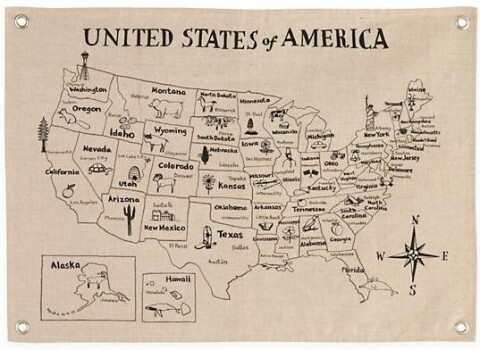 For some reason we usually feature world maps here on the blog, but a beautiful map of the United States can be treasured in the American home. Local geography is just as important as the global version. In preparation for the 4th of July this week, here are a few of my favorite educational versions for your child’s walls. From Urban Tickle, this patriotic red, white and blue version comes as a 24″ x 36″ poster, canvas or jumbo canvas. 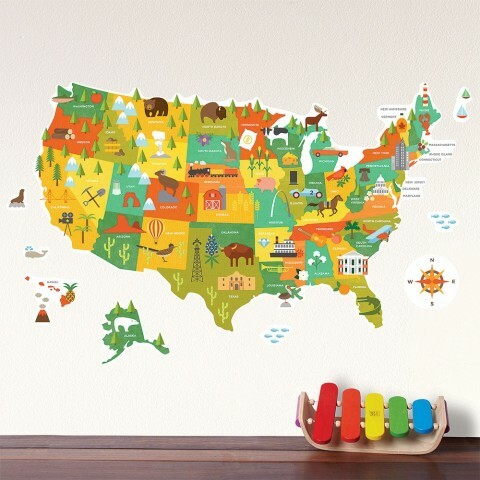 The Pixel Prince has a few different US map designs but my favorite is the cute art print with illustrated details throughout. 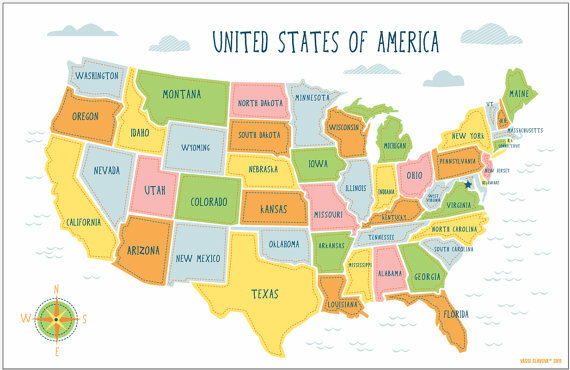 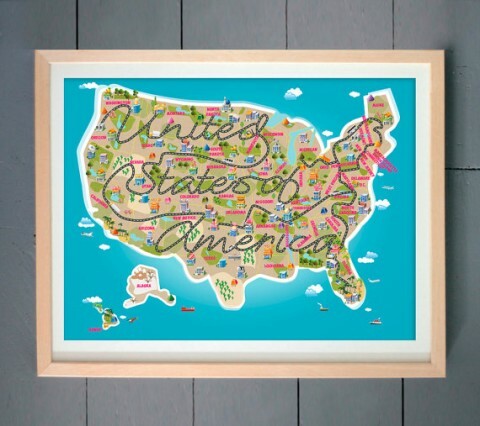 The USA Children Map from Vassi Slavova is perfectly simple and straightforward with easy to use colors. 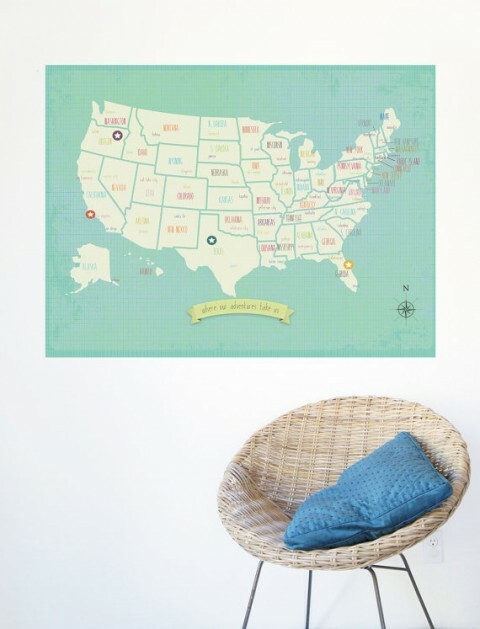 Children Inspire Design is famous for their map prints and my favorite US map from them is this labeled My Travels Personalized Wall Map Print. Petit Collage recently released this new fabric wall decal of the U.S.A. 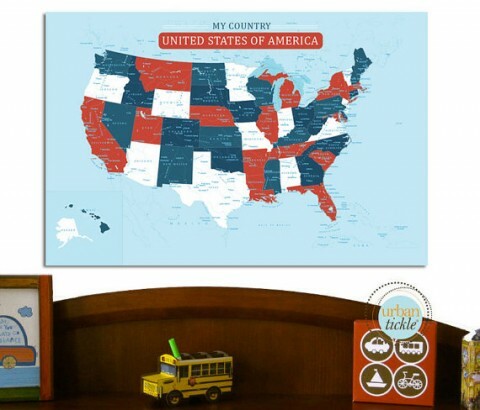 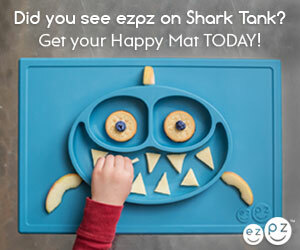 I suspect (hope) this might show up in one of my nephew’s rooms soon. 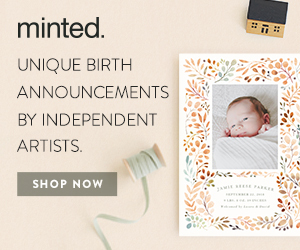 Finally, by Jon Cannell, this Grand Canvas Map Banner is a unique print on a natural canvas banner.